You know when you’re tired of the hot sun in Lagos and just want to chill? The 1st place that comes to mind, at least for me, is “The Beach”. 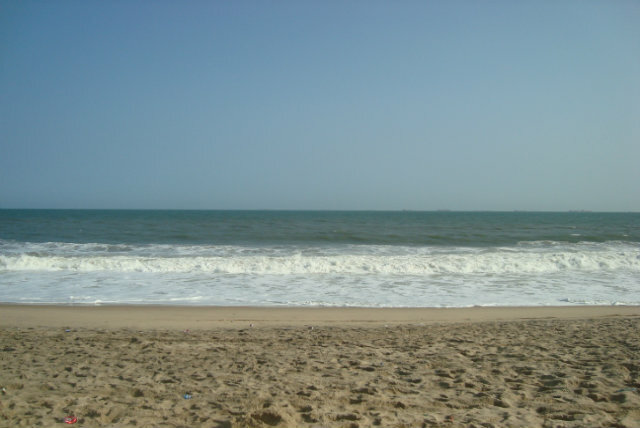 Now in Lagos, we have various beaches, but my friends prefer Elegushi (or Oniru) because they are private. 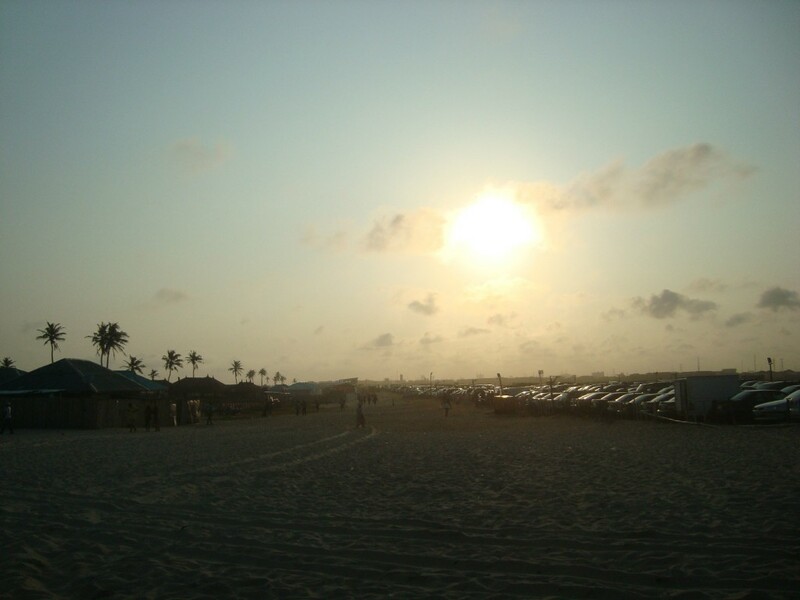 This review is based on my personal experience at Elegushi Beach. Elegushi is located off Lekki expressway. It’s not the cleanest of beaches, but people typically (and heavily) patronize this spot. Elegushi offers a mix of music, food and beautiful scenery of the water (which isn’t the cleanest/clearest either). There are also different shacks (some of which turn to clubs at night) scattered along the beach. There’s a 1k gate fee/person and #200 parking fee/car. I’ve heard the best time to visit is Sunday night (from 10pm), but after my experience I doubt I’ll be coming back here. On April 12th my friends and I decided to celebrate a friend/classmate’s birthday and well, she wanted a beach “get together”. It wasn’t a party per se; no alcohol, no smoking, no loud music. Just Ribena, marshmallows, soft drinks and us! You know, just a bunch of friends getting together. We went in the late afternoon, and planned on spending 2hours tops as our dorm gets locked by 10:30pm. It started out all fun. We were dancing to the music from the nearby bars, and since we didn’t inform any of the bars ahead of time, we couldn’t utilize their space to have our little soiree. Well, what’s the use of going to the beach without letting the water touch your toes a little? I played in the water for a bit and ran out when my Blackberry got soaked in the salty water. As you can imagine, my mood automatically changed. So I gave up the fun and just sat down, looking at everybody, listening to the music and wondering where I’d get money to fix my phone. A friend/colleague, who apparently was really enjoying the coolness of the water was drowning. None of us could swim so we decided to try and get a lifeguard. Lo and Behold, there were no lifeguards around. We rushed to the gate, where we’d each paid 1k to enter, and asked for help but we were told, and I quote, ‘”ahh, your friend has gone “. We all stood and watched the waves take our dear friend. The sad part of it was she resurfaced twice, but she seemed so far away. Everybody in Elegushi just kept looking. In an attempt to “console” us, I guess, some random guy walked up and said, “about 12 people have drowned in that same spot “. Maybe if I wasn’t related to the case, I’d have taken the time to ask , “12 people in how many days “? 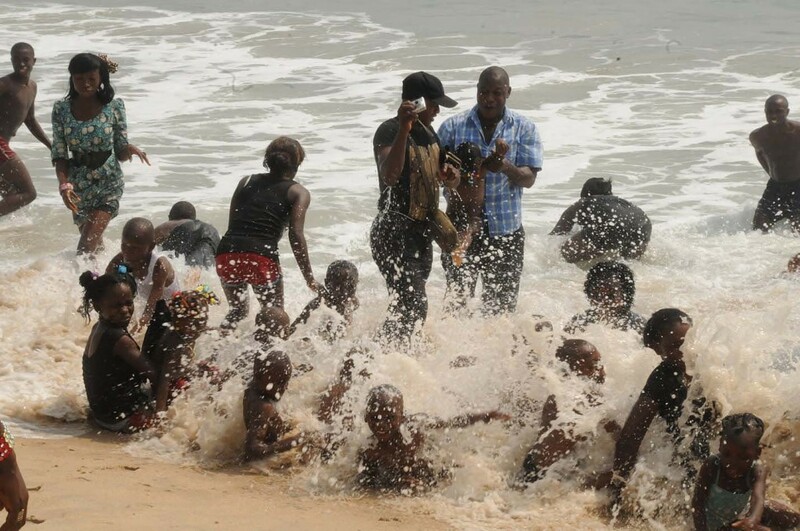 I’ve now come to realize that a good number of people die/drown at Elegushi Beach very frequently. Some people on the beach were even saying it’s right that she drowned. “You guys are not supposed to go near the water “, they said. But I ask again, what is the use of going to the beach without playing with the water a little? I am very disappointed in Elegushi Beach as an establishment. The rate at which people drown/die there is just alarming. My question remains, why don’t people drown this much in other beaches? Is there something wrong there? Why do we pay to enter when we are not offered any services and why hasn’t any of this changed even after so many deaths there? How does a “Private Beach” not have trained life guards for situations like this? Ok, let’s say no-one wants to risk their lives and all, 1k is too small for that, fine. But if the current is so high and lifeguards/trained people can’t handle It, how come there are no signs warning people to stay away from the shores? Or why can’t they section that area off? Lagos State government: please do something about this. Nigerian residents & visitors: please be aware. It’s really unfortunate. Hope the situation has changed. It is too cheap to die especially in Nigeria. Unfortunately, when one or two die in such manner, it hardly attracts the attention of the government at all levels. One or two out of about 160 million? Treated as a loss to the deceased immediate family. I pray to see a better Nigeria. I wish the prayer is answered in our generation. To the deceased, your case is closed, to the living prepare for eternity with God through faith in Christ Jesus. Wow. May the soul of your friend rest in peace. A schoolmate died thr too early this year. Her body was later found @ d shore. There should be lifeguards there if an ordinary swimming pool could have a lifeguard how much more a crowded beach like Elegushi I was there yesterday but I was careful enough to stay at the edge of d water u know God saved you ur phone fell into the water n u had 2 go sit far away from the water. Another thing is if u can’t swim don’t go too close to the waves the water touching just ur feet is enough n watch the people swimming in it and enjoy the music. May ur friend keep Resting in peace. awwwn. may she RIP. i dont go to the beach in Nigeria . always so scared. Let me tell you what is happening at Elegushi: It is human sacrifice. Plain and simple. Imagine what that idiot said, “Ah! Your friend don go”. Nigeria is highly diabolical, full of black magic and river worshippers. Many occultic powers worship Gods like Yemoja in Yoruba land. Lekki-Epe used to be a village. Human sacrifice is the highest form to attain power especially in Politics. You guys went into the devil’s tabernacle without being armoured. I am fortunate and I thank God I know about these things. Some may doubt my comment but that’s fine. If you think about it, the solution to Nigeria is so easy and evident. Okay lets leave Nigeria, the solution to Elegushi is to just get lifeguards! There are many Expert Ijaw divers who go into the sea to pack sand everyday, pay them 500 naira a day and they will be happy to do the job. But they won’t do this because everything is intentional. There are spiritual forces of darkness holding Nigeria, especially in Politics. All I can say is that deep calleth unto deep (Psalm 42:7). You can’t fight something you can’t see. May the soul of your friend rest in perfect peace and in Gods bosom. Amen! And it’s just occurring to me that I’ve never seen lifeguards at any beach in Nigeria. What would it take to grab someone and pay him a salary to watch out for people in the water? All the thousands of naira being collected at the entrance in a day can pay for 2-3 lifeguards a month! What about installing safety signs/flags in areas that “12 people have drowned in?!?! ?” It should be easy to designate safety areas where it’s okay to swim. This news went viral, i am happy that someone came out to speak and say the truth. i actually thought she died of excess alcohol, well, beaches in Nigeria should put up signs. Especially elegushi, people go there a lot. May her soul rest in peace and please, something shuld be done asap!!! this is very sad though..